Hey KF peeps. 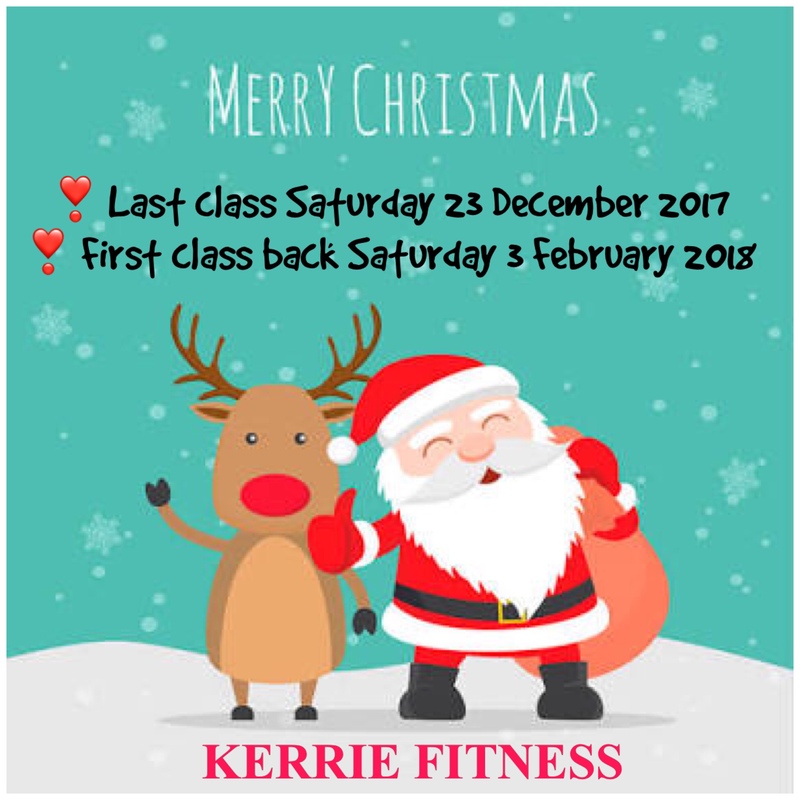 This year KERRIE FITNESS will smash out the last workout for 2017 on Saturday 23 December. Hope to see you all there! KERRIE FITNESS will resume getting all your bods back in fit shape after the holiday season on Saturday 3 February 2018. If you are yet to join us here at KERRIE FITNESS, feel free to check out all the healthy eating options and fitness ideas offered on our website. It costs nothing to look 👀 right, so enjoy! When February 2018 hits and you really want to push your NEW YEARS RESOLUTIONS to the max, come and join us when we return. We will motivate you. We will help you with information on how to look after yourself the healthy way. We will get your core in shape… fundamental to any fitness training. We will tone your body, increase your heart health and improve your mental health. We will help you with what you should and shouldn’t be eating. These aren’t ‘add on’s’ to your membership. Membership at KERRIE FITNESS means exactly that, you are a member and as such given everything you need to make the changes you want. In the studio, you are only a question away from getting the help you need.